You all know I'm a fan of magazines. Recently though, I've been cutting down on my magazine purchases as some of them can be pretty pricey, and I can't always afford to fork out several fivers a month, despite how much I'd like to. However, I can never, ever turn down a magazine if it comes with a good freebie. 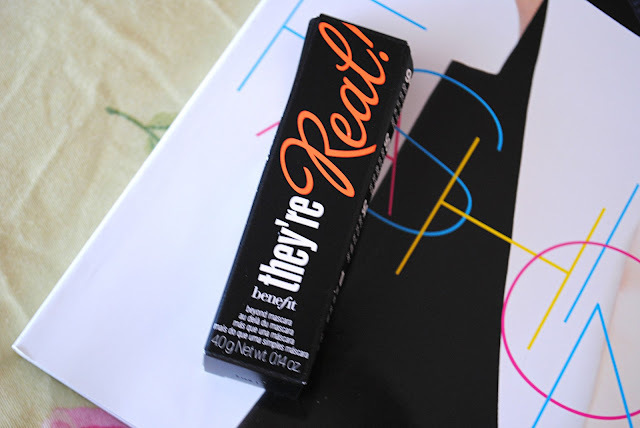 In particular, Benefit freebies always get my attention. I know every year Glamour like to give away a little selection of minis, but I've not known other mags to do it - until today! 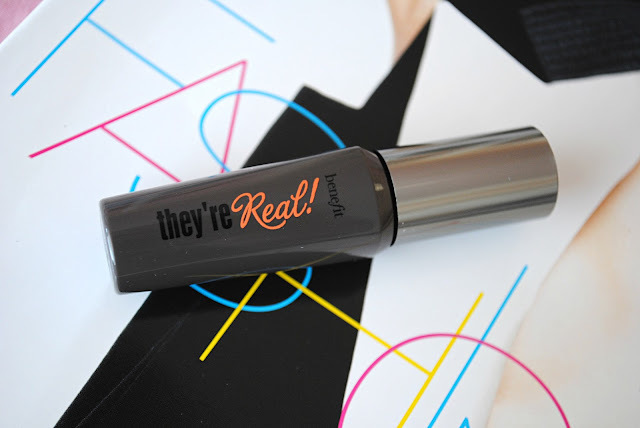 This month's Elle magazine comes with a little mini version of the infamous 'They're Real' mascara. 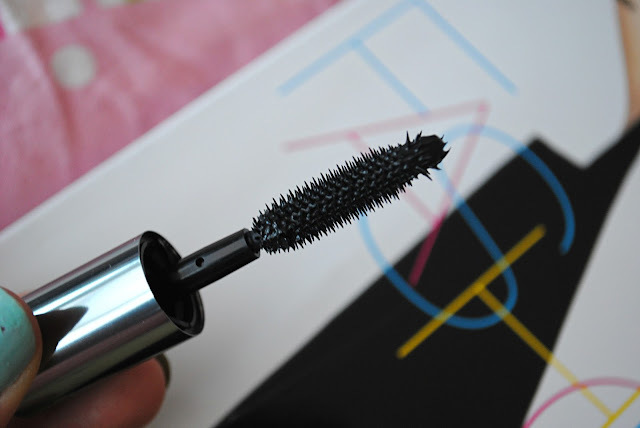 I have heard SO many rave reviews about this mascara; it's the number one best-selling premium mascara in the UK and I've heard countless bloggers swoon over it. I, however, am yet to try it. 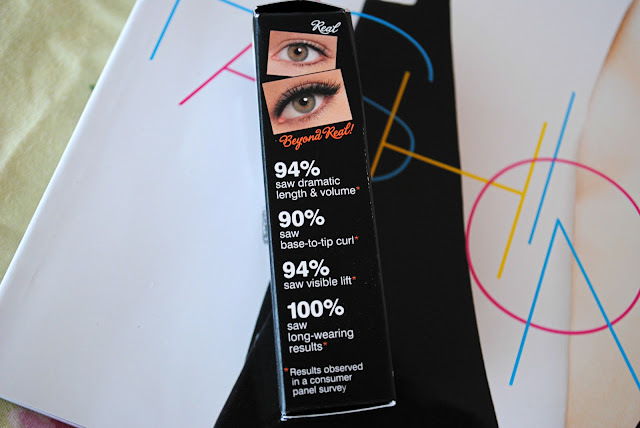 So despite this being a rather teeny tiny (and frankly, adorable) sample-sized mascara, it's a great opportunity to try the product out before handing over your £19.50 to buy the full-sized version. Plus, Elle magazine always delivers, especially when it comes to the beauty pages, so I can't help but think this was £4.00 well spent! 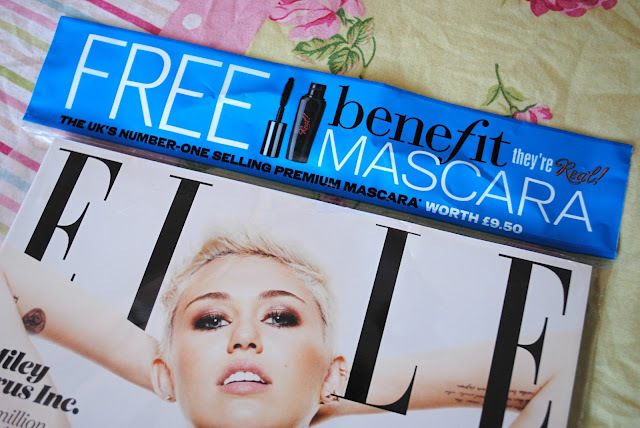 I'm yet to try the mascara as I literally rushed home to blog the magazine as soon as I got it, so you lovely ladies don't have to miss out on this fab offer, as I predict these magazines are going to sell pretty quick. I will, however, be reviewing it in the coming weeks so watch this space! 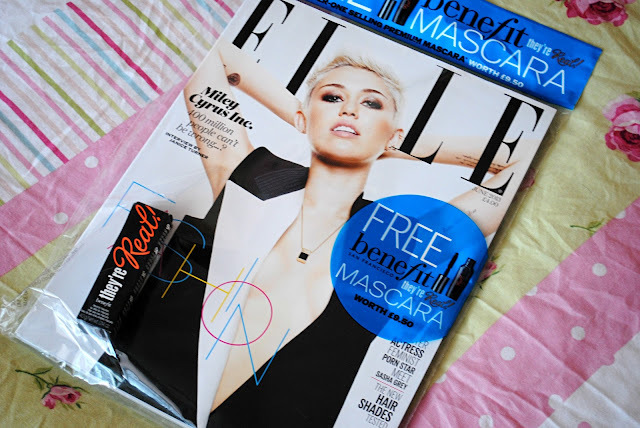 Are you going to rush out and get this month's Elle for the chance to try Benefit's mascara? Let me know if you've tried it before, and what you thought to it!